Everyone wants a beautiful replacement garage door – it’s the largest part of your house after all. You don’t want it detracting from the look of your home. 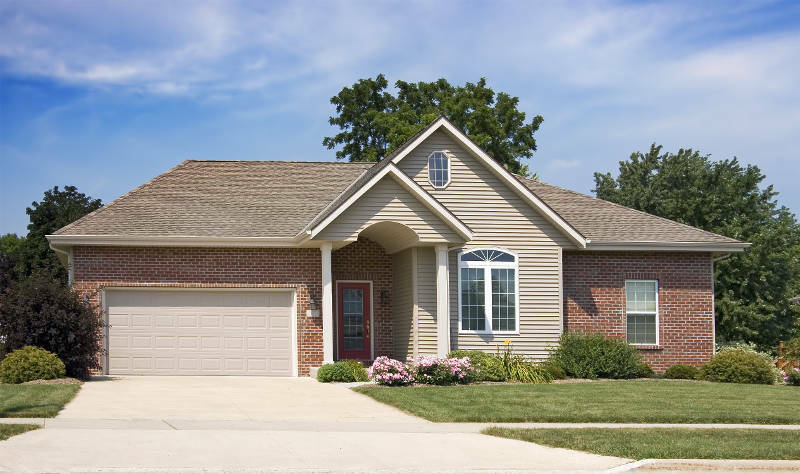 That’s why it’s important to get the perfect garage door for your home in Green Bay. With so many options, it’s easy for you to become overwhelmed. We promise to help make the process of buying a new garage door as easy as possible for you. In this article, you’ll learn 7 things to consider in order to get the perfect replacement garage door in Green Bay. Your garage door replacement project is going to be smooth sailing from here on out. Before you start any “shopping around”, the first thing you need to consider is your garage door opening’s size. Because the size of your opening will determine what kind of garage door you’ll need. For instance, is your garage door for a one or two car garage? Start by measuring the width of your garage door from one side of the opening to the other. Then measure from the top of the opening to the floor for the height. A standard one car garage door is 8 x 7 feet or 9 x 7 feet. 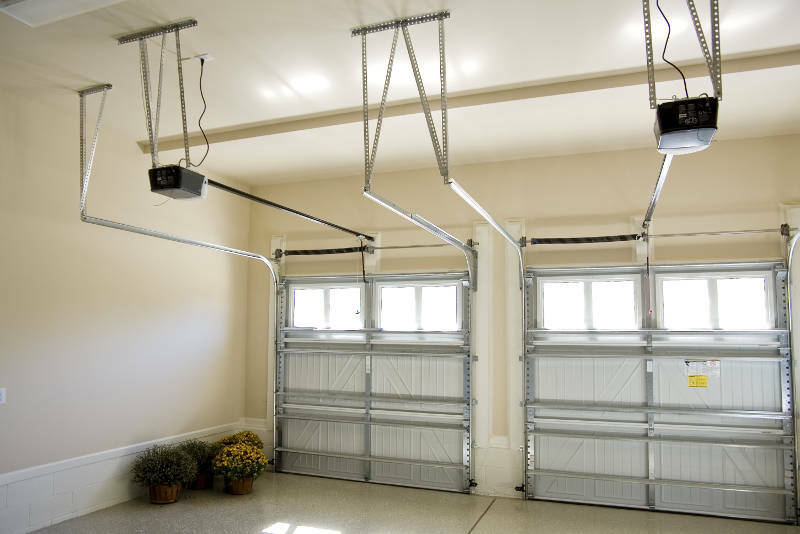 A two car garage door is typically 12 x 7 feet or 14 x 7 feet. It can vary so don’t just assume that’s the size of your garage door. Construction is always an option too. You can change the size of the opening or your entire garage to meet your needs. Yes, you’ll also need to measure the inside of your garage too. From the edge of the opening to the wall on each side is known as the side room. From the top of the opening to the ceiling is your head room. Make sure you measure both of these. It’s important for the tracks and garage door opener. You’ll only need the width of the side room and the height of the head room. The depth of your garage makes a difference in the size of your garage door. When your garage door opens, it rides along a track that’s parallel to the ceiling. That means the depth of your garage needs to be longer than the door. More than 6 inches longer to be exact. If you do have a very deep garage and would like a larger door, you can always get a track extension kit. This will give your replacement garage door more track to move along when it opens. Living in Green Bay means you get to experience all four seasons of the year (to the extreme). 100° August days and -20° February nights aren’t uncommon. The last thing you want is to feel those temperatures inside your house. Your garage door can help prevent that. If you have an attached garage, some garage doors can make your home more energy efficient. 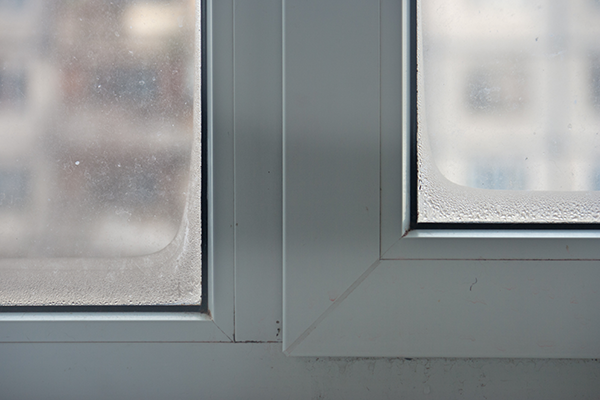 They’ll trap heat and air in your home and prevent the outdoor elements from getting in. Your home will be comfortable year round. They’ll also save you money on your electric and gas bills. This is because your furnace and air conditioner have to work less hard to reach your desired temperature. Now that sounds pretty good, right? Make sure you find yourself a nice replacement garage door that’s energy efficient. 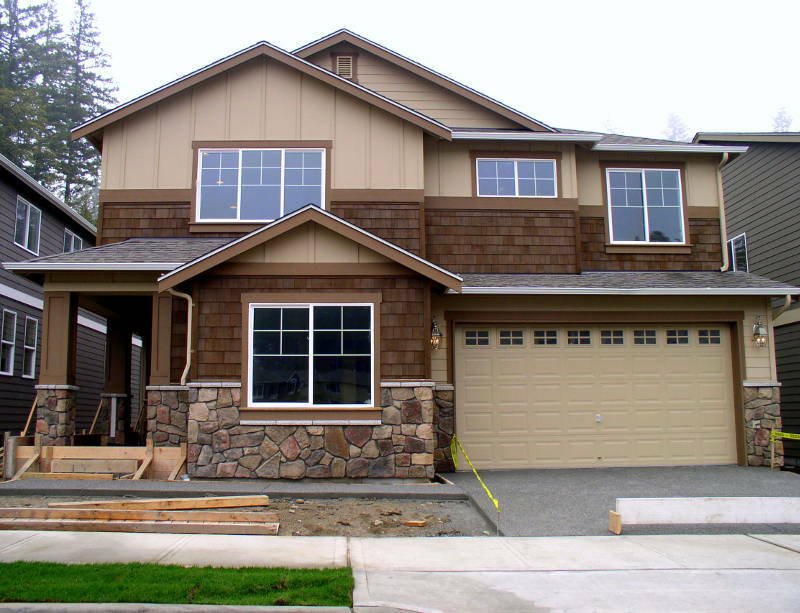 You’ll learn more about what makes a garage door energy efficient later. Do you want any of those items exposed to extreme heat or brutal cold? We don’t think so. Think of your car especially. If you leave it outside or in a cold garage, you have to let it warm up before you start driving. That can’t be good for it. It’s not. In fact, Accuweather.com wrote an entire article about the effects of cold weather on your car that you can read here. There are several different materials garage doors can be made from. Each one has its own benefits and uses. What are the most common materials you ask? You need to determine which one best fits your needs. We’ll help you narrow it down by highlighting each one for you. What comes to mind when you think of wood garage doors? You might say beauty and a traditional look. Wood never goes out of style and will improve the curb appeal of your home. Plus, wood can be energy efficient too. It’ll trap the heat in your home and prevent you from feeling the outside elements. Wood garage doors are extremely expensive. Not just your initial investment (that price is pretty crazy too), but also the maintenance costs. You’ll need to paint and restain a wood garage door frequently to keep it looking new. Wood doors are also prone to warping and rotting. Once your door starts to warp and rot, you’re in trouble. You’ll almost certainly need to replace it. Since warping and rotting occur due to moisture, having a wood garage door is especially bad for Green Bay homeowners. With humid summers, rainy springs and falls and snowy winters, your garage door is going to encounter a lot of moisture. By the way, do you like bugs? Because wood garage doors are a great spot to find termites and carpenter ants as well – they love the taste. Is beauty worth all of this trouble? Steel garage doors are a fantastic option for Green Bay homeowners. Not only do they look great, but they’re the best protection for your garage against the cold. They can be foam-filled for better insulation. The foam filling makes steel doors more energy efficient than wood doors. 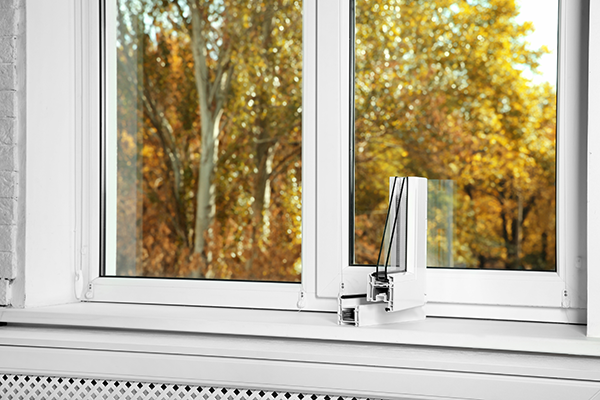 It also prevents heat from escaping your home during the frigid winter months more efficiently. Plus they’re extremely durable. Snow, rain, hail and heavy wind are no match for a replacement steel garage door. 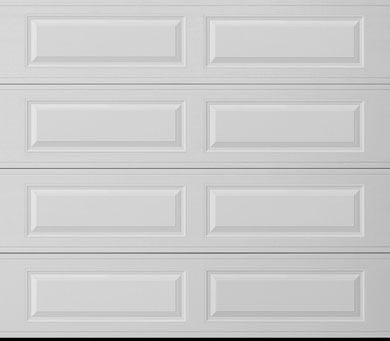 Your garage door will show no dents, dings or damage. Steel garage doors are also easy to maintain. There’s no staining. There’s no painting (unless you want to). All you need to do is wash it a couple of times per year and you’re good to go. Did we mention they don’t warp, rot or attract bugs? It’s true! All of this at a fraction of the cost of wood? Sign us up! Some homeowners choose to go with fiberglass garage doors. This is because of their extremely low price tag. Is this an awesome deal or do you get what you pay for? Fiberglass is much lighter than other garage door material options. This means they’ll put less stress on your garage door opener. Fiberglass garage doors are not energy efficient. That’s not good news for a Green Bay homeowner. When it gets cold in December and January, your garage will start to get really cold. If your garage is attached to your home, it can effect the energy efficiency of your entire house. If your garage isn’t attached, everything you store in there will be subjected to the freezing cold. They’re also not as resistant to damage as steel garage doors. 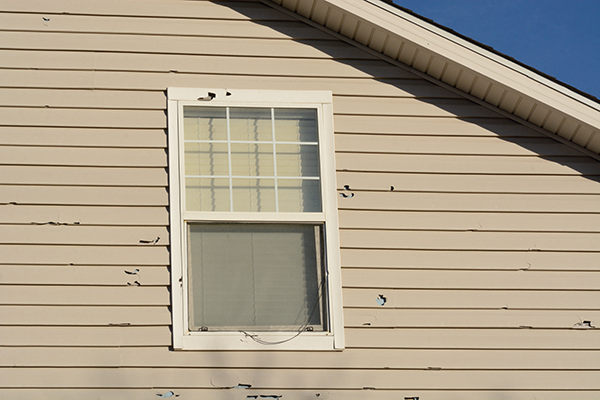 With Green Bay’s weather, you might be finding some dents in your garage door due to hail. Aluminum has very similar advantages to steel garage doors. They’re both durable, low maintenance and look great. Aluminum garage doors conduct heat. That means in the summer, your aluminum garage door will be extremely hot, making your entire garage feel like it’s boiling. This will transfer to your house as well. It’s worth mentioning that aluminum garage doors also dent easily. Hail and heavy wind are common in Green Bay so this may become a problem. 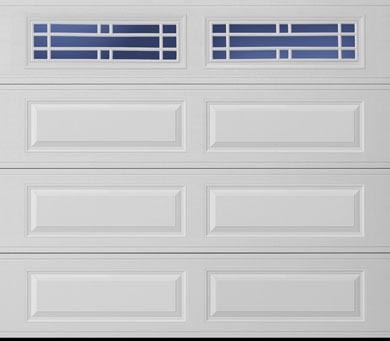 None of these panel styles have any effect on the functionality of your garage door. They’re simply for looks. Pick the one you like the best! Did you know you can get window inserts installed on your replacement garage door? Pretty cool, right? The window inserts will allow natural light to shine into your garage. That’s perfect whether you use your garage for a workshop or you just need to get something from there quickly. Not only does it give your garage more natural light, but it looks gorgeous outside too. 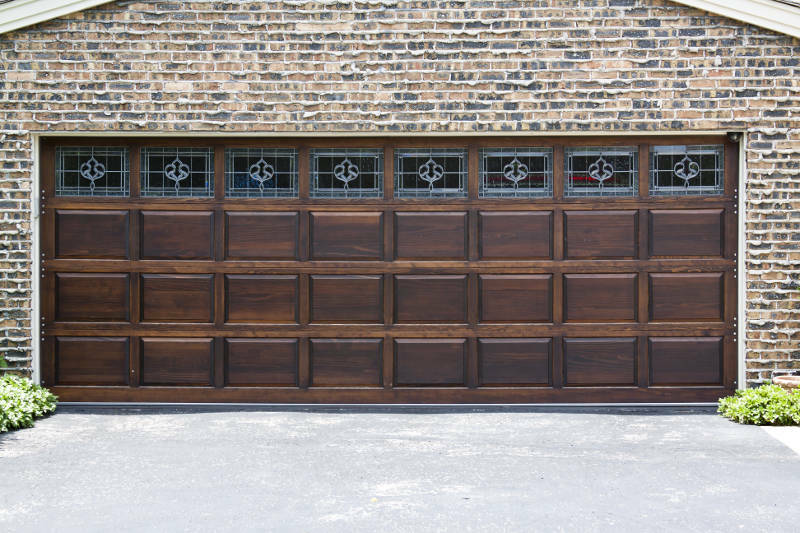 You have many decorative glass window options that’ll give your garage door a unique look. Having a beautiful, strong garage door is great, but there’s more to it than that. 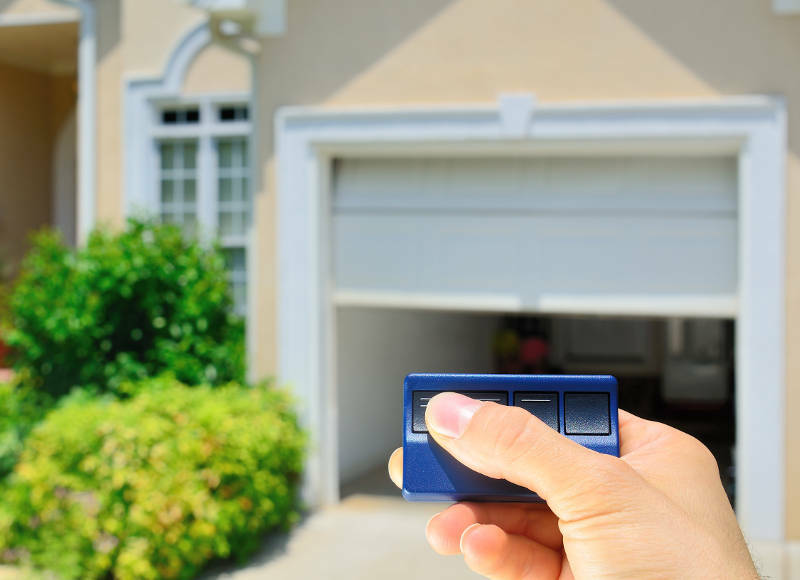 Your garage door opener is incredibly important. There are also a couple types of sensors that’l help make your garage door safer. The first is a sensor located on the bottom of your garage door. If the bottom of the door comes into contact with anything while it’s closing, it’ll stop and begin to rise. The other is a red eye sensor the runs across the floor of your garage door about ankle high. If the beam is broken anytime while the garage door is closing, it’ll stop and begin to rise. What can’t you do with your smartphone? You can play games, check emails and even check your bank accounts. Did you know you can also use it to control your garage door? That’s crazy, right? Smart garage door openers allow you to do that. All you need is an app installed on your phone. From there, you can open and close your garage door from anywhere in the world. No more worrying if your garage door is closed! If your garage door is opened, your phone will alert you immediately. This is a great feature to keep your home safe at all times. No matter how great your replacement garage door is, that means nothing if it’s not installed properly. It isn’t easy installing a garage door. They’re heavy, hard to measure and, if the slightest thing goes wrong, look and operate terribly. 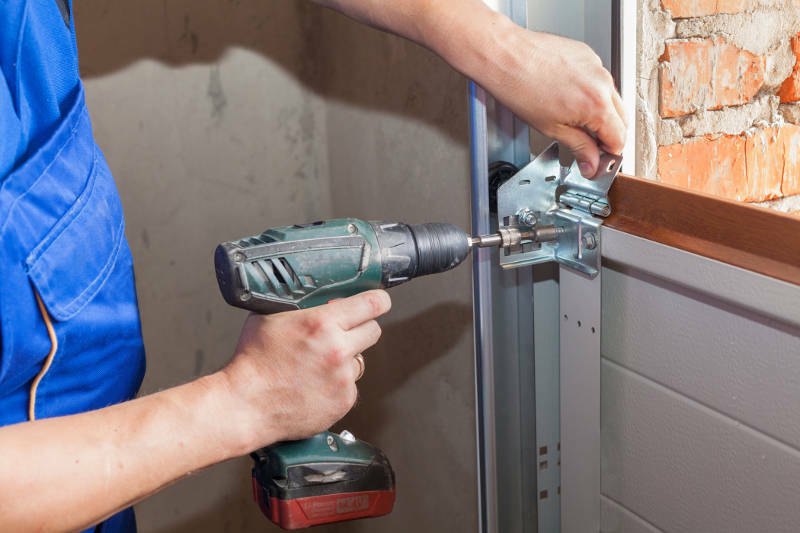 Save yourself the headache and hire a professional installation team to install your replacement garage door. They’ll guarantee that your door looks great the first time. The first thing you want to look for is a company that’s been around for a while. You don’t want a company that’s been around a few years. You want someone who’s been trusted by many homeowners like yourself. It’s also important to look for a company with a good reputation. This usually goes along with how long a company has been operating. A company with a bad reputation doesn’t last a long time. For instance, look at Feldco. We’ve been around for over 40 years. That not luck. It’s because we offer a great product, high quality installation and customer service that looks to delight each customer. All of this under one trustworthy roof. It doesn’t get better than that. 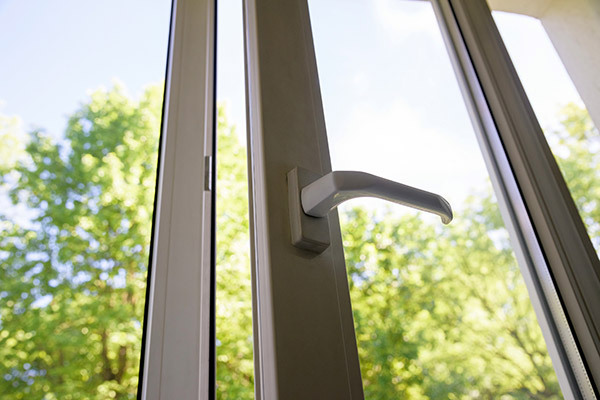 Feldco offers the perfect package of product and installation. We quickly and efficiently install beautiful steel garage doors. So if you want a Feldco replacement garage door, get a free quote now.